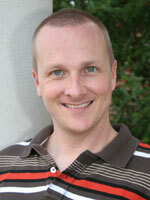 Originally from Texas, Lance Herrington joined the Intensive English Program in 2007. He earned a B.A. in Art History from the University of Texas, and M.A. in Art History from the University of Mississippi, before returning to UM to work and study, earning a second M.A. in TESOL. Lance has taught English in Osaka, Japan, and Quito, Ecuador.